The ancient egyptian queen Nefertiti maybe was not such a beauty, say scientists. The bust of the Egyptian queen, with two faces, was discovered in 1912. 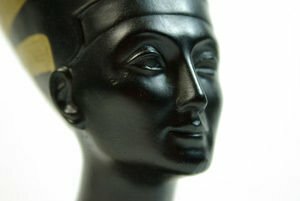 Newest articles along with themes about Egyptian Queen. Read about mysteries, stories and convenient advice in regards to Egyptian Queen. See the newest articles and publications in regards to Egyptian Queen.